How can orthodontic treatment affect periodontal gum disease? As dental negligence solicitors, we have recently investigated a number of cases where it has been found that the failure of treating orthodontists to manage or treat periodontal disease prior to carrying out orthodontic treatment has caused an exacerbation of periodontal disease. Many dentists are reluctant to refer patients for orthodontic treatment if they have suffered, or are suffering from, periodontal/gum disease. HOW DOES ORTHODONTIC TREATMENT AFFECT PERIODONTAL DISEASE? Part of the reason why orthodontic intervention can affect periodontal disease, is because fixed orthodontic appliances, such as braces, cause an increase in bacteria, which in turn causes inflammation and gingivitis. It is rare that periodontal disease will occur solely as a result of orthodontic intervention, and orthodontic intervention will not, in itself, cause periodontal disease. However, orthodontic intervention can exacerbate the periodontal disease if it is not treated or managed prior to orthodontic treatment. Unfortunately, it is difficult to identify tooth loosening and bone loss whilst the teeth are supported by orthodontic braces, and therefore it is often the case that it is not until the braces are removed, that the full extent of the problem becomes evident. By then, significant and irreversible damage may have been suffered. In a recent case involving a young lady with periodontal disease, it was found that the negligent orthodontic treatment she underwent exacerbated her periodontal disease. She suffered progressive bone loss as a result of her orthodontist carrying out orthodontic treatment in the presence of untreated periodontal disease. In this case, the evidence we obtained was that the Orthodontist should have ensured that the periodontal disease was treated, and the problem arrested, before proceeding with the orthodontic treatment. Orthodontic movement is known to be an accelerating factor in bone loss if periodontal disease is present. CAN I HAVE ORTHODONTIC TREATMENT IF I HAVE HAD PERIODONTAL DISEASE? There is evidence to suggest that provided high quality periodontal intervention is carried out and the patient is able to maintain adequate hygiene procedures to control the disease, then fixed appliance treatment can be carried out safely and satisfactorily. It is therefore vital to ensure that the periodontal condition is stabilised, before orthodontic intervention is commenced. It is particularly important to ensure that the periodontal disease is managed prior to orthodontic intervention, as the failure to treat periodontal disease in the first place can in turn lead to a need for orthodontic treatment. In another recent case, as a result of the failure to diagnose and/or treat periodontal disease, a gap between the Claimant’s front teeth formed due to tooth movement, associated with reduced periodontal support. 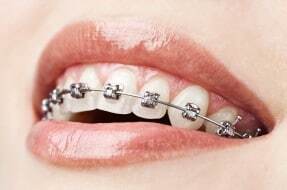 As a consequence, the Claimant required fixed lingual braces on his lower and upper teeth. Although it is important that patients maintain good oral hygiene to prevent gum disease, treating orthodontists also owe a duty of care to their patients. This includes a duty to recognise and identify any clinical signs of periodontal disease, and make a referral to an appropriate specialist. Failure to do so can result in irreversible damage, as the longer the disease is allowed to progress; the more likely it is to result in a loss of bone in the jaw and the eventual loss of teeth. If you are concerned that orthodontic treatment has led to problems with bone loss or gum disease, or that your orthodontist failed to deal with your periodontal disease prior to commencing orthodontic treatment, please contact a member of the dental negligence team who can offer you independent legal advice.